According to the protocol, 78% of the patients were able to participate in at least 80% of the exercise therapy sessions. Monthly patient monitoring and support from pain medicine specialists improved primary care physicians’ perceived confidence in prescribing opioids for chronic pain. A controlled, randomized study found that the combined use of pregabalin plus paroxetine effectively reduces the somatic and depressive symptoms of fibromyalgia, and enhances quality of life in affected individuals. The American College of Rheumatology (ACR) has released new recommendations for the treatment for the treatment of ankylosing spondylitis (AS) and non-radiographic axial spondyloarthritis (SpA). It summarizes recommendations for both pharmacologic and non-pharmacologic treatments, including rehabilitation, management of patients with comorbid conditions, use of certain surgeries and approaches to patient monitoring. Functional imaging with central sensitization can be used as a mechanism-based assay to guide the early development of analgesic drugs for the treatment of neuropathic pain. In this randomized trial, pulsed electromagnetic field therapy improved pain and dysfunction in patients with knee osteoarthritis, suggesting that such treatment is a plausible option for managing chronic pain in patients with this condition. A UK-based research team has embarked on a smartphone-based public study to determine the potential link between weather and arthritic pain. Compared with the lower and high dose opioid groups, NeP (neuropathic pain) patients not taking opioids had statistically lower disability and higher physical functioning scores, after adjusting for disease severity. 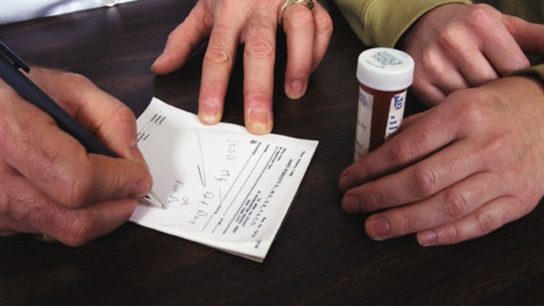 Compared with patients prescribed opioid therapy on an ongoing basis, NeP patients who were not prescribed had statistically lower disability and higher physical functioning scores, after adjusting for disease severity.